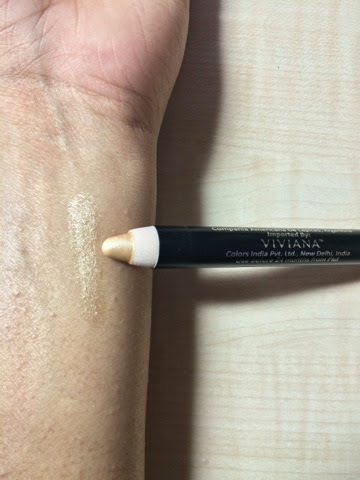 Claims: Smudge-free and trendy, this 'Jumbo Pencil Smoky Beige- Light Golden' eye shadow from the house of Viviana will help you enhance your femininity. Easy to apply, this eye shadow blends seamlessly and gives your eyes a rich look in just a single stroke. Results: Every once in a while I feel like a genius when I discover products that are not that well known but work wonders. 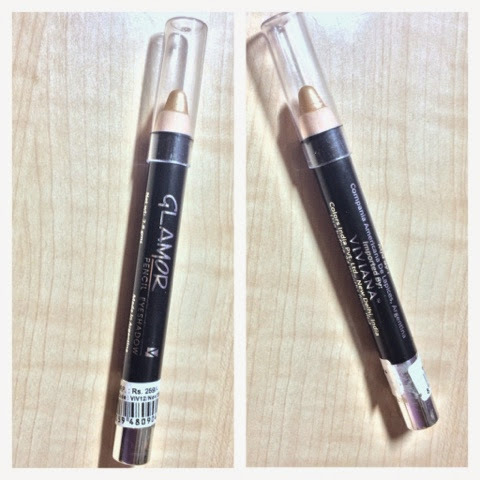 This time I have found a gorgeous Jumbo pencil usually used for smokey eyes but can be used as a highlighter too. I was exhausted finding the right shade for me when I stumbled upon this beautiful shade by Viviana in their Glamor line. As the name hints it is a smokey beige or a light golden color. Being a neutral color it does suit every skin tone. It may look quite glittery but gives a soft and subtle gold tint making it look great on the brows. A swatch is attached below to let you decide on your own about this color. 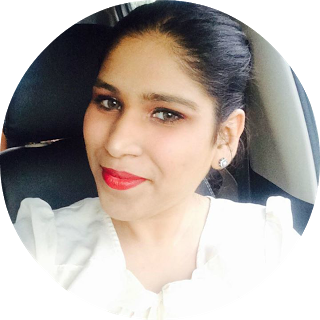 Being an eyeshadow it has the slight bit creamy texture which doesn't bother at all. The lasting power is atleast 5-6 hours. Though it was an eyeshadow pencil I decided to use the shade any way as a brow highlighter and Voilà my new favorite was born. 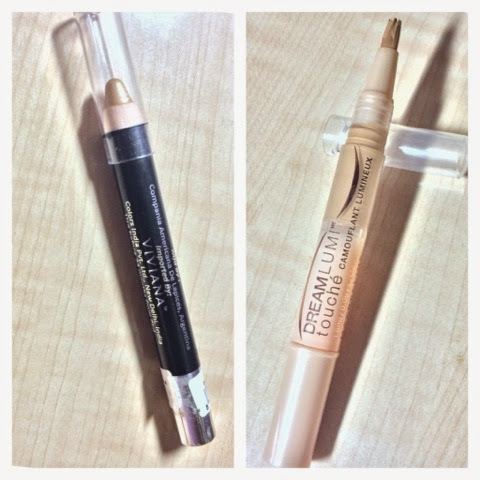 Claims: Experience a brighter idea in concealers. 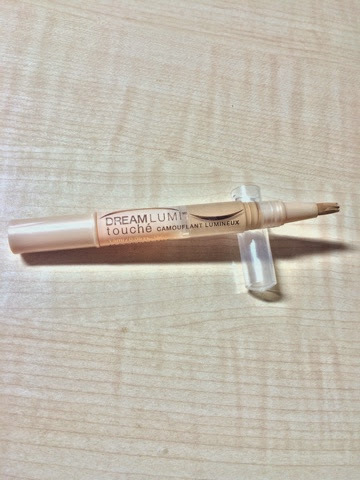 Maybelline's Dream Lumi Touch Highlighting Concealer's gel-based formula diffuses light like no other, so it illuminates as it covers imperfections, for instantly brighter looking skin. How to apply: Twist bottom of package until product appears on the brush (may take up to 10 twists the first time). Using brush, apply concealer to under-eye area and on imperfections. Blend in an outward motion. For a well-rested look, apply around the inner corner of eyes. 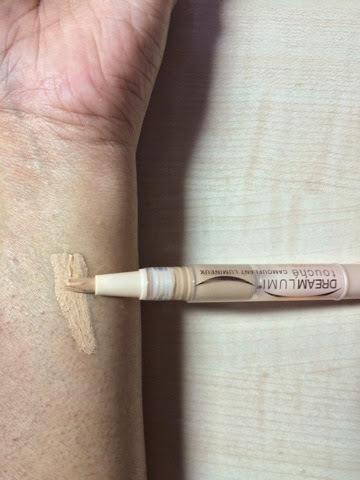 Results: The Dream Lumi touch would be one of the few concealers that I did find as a match to my skin tone rest where all too dark or too light. The texture is the same as any foundation providing a wonderful coverage. The best feature about this product would be the brush applicator, making it is easier to apply in places like the corners of the eyes, nose and mouth. It conceals under-eye areas by hiding dark circles thus fulfilling its core purpose. The texture is a bit thick and creamy but can be easily spread with the applicator brush. It sets in quick adapting to the skin color. The lasting power of it would be 5 hours after which I did have to use a power puff to touch up a bit. There are three shades available in India at the moment, Honey, Buff and Ivory. I chose the color Honey which was the darkest of the three shades.The only drawback is that I did not have many options in terms of color selection in this product. Excluding the color options the product can be considered as one of my favorites. great review....I should really get a product like this one. I wanted to try viviana eyeshadow crayons but was a bit skeptical..now i'm sure i can pick it up also the maybelline highlighter.. 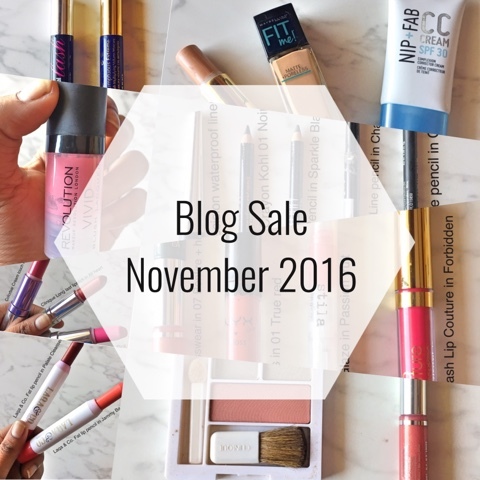 I'm eyeing over maybelline concealer! Thanks for the review dear! Never used viviana, it seem to be a nice and budget buy!